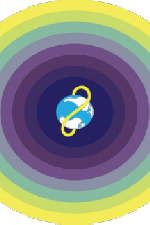 Global Game Jam 2016 is upon us! Around the globe between the 29th and 31st new and salty developers are gathered together creating the next great indie titles or game development ideas. Clickteam Fusion 2.5 as had a proud history participating in these events, providing it’s users with a method for rapid development of cool ideas in to games. If you are participating in this event and stumbled upon this page. Then maybe you are going to give Fusion a shot! Here are some resources that can help you rapidly get started. If you make something in Fusion make sure to let us know!